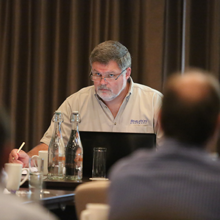 As many of you will know, I was in two minds whether to host the recent OpenInsight (OI) 10 Product Awareness Training. Furthermore, I heard a number of comments about the validity of hosting the event based on OI10 not being ready for a few more months. However, given what I learned at the last RevUS Conference and the amount of change that is coming, I decided to blindly carry on with my plans. The new version can be used to make developers more productive, help new developers to become comfortable with the new version more quickly and the benefits to end users on screen and under the hood. This was way too much to leave for people to work through when the release hits our desks and I wanted to give developers the opportunity to get a good head start. The three day event was therefore scheduled to host the normal Revelation User Group (RUG) in the morning and then we would get into the OI10 release in more detail over the next two and a half days. Mike and Carl did an amazing job as usual and despite working with live and moving code for the demonstrations, the event went very well and the feedback has been very welcome. I guess that you can say that the event was very worthwhile. I would like to therefore thank Carl and Mike for taking the time out of their busy schedules, to Prashant for all of the planning and logistics and for Andrew covering for me on Wednesday evening when everyone went out to dinner. Also, to everyone that took the time to come to London for the event and to raise their awareness about the biggest OI release – probably ever. If you have the chance to attend another of these events somewhere in the world or the main US conference in March, I can highly recommend them to you. This week has seen Mike over from the US for our annual get together with some of our VARs from around the UK and Europe. Much of Tuesday was given over to Mike to talk about where Revelation is currently and the future plans for the company and OpenInsight more specifically. It will be no surprise to learn that everything is going into the OI10 release at the moment and the toolset has come a long way since I last saw it in Houston earlier this year. There is still a fair amount to do before we will get our hands on a beta, but it is definitely looking good. Mike also took the opportunity to talk a little about mobile computing and Revelation will continue to support these devices and environments. There is a real mix of OpenInsight versions being used in the room, from back to 7.2.2 and right up to 9.4. However, I was still surprised to find that most of the guys are still running and developing desktop based systems, with little being done on the web and mobile. We are often behind the US, so I can see the move to mobile happening very soon and I know that we’ll get busy with O4W and OECGI help requests. We now have some big names using O4W based systems and I learned of yet another big internet name which we hope to be adding to the list shortly. Working with our VAR and these big names has led to better support for all manner of things, including single sign on, encryption and heavy penetration testing has resulted in a secure and very stable product. 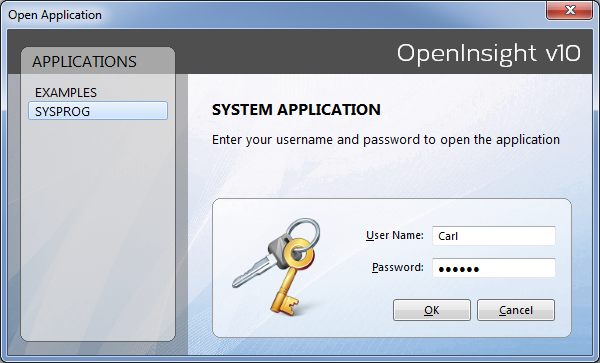 With the design enhancements in O4W’s forms designer, things will take another big jump in OI10. Wednesday and today have been given over to getting much more into the innovations and enhancements. These seem even more wide ranging than I remember from the main conference and I am really pleased to be hosting this event to better prepare the attendees of the OI10 Product Awareness Training. I hesitated earlier this year because we are still a little way off of a beta but we have learned a lot, people are more aware and prepared and I already have had discussions with a few of the guys who have projects lined up for OI10. There really is a huge amount of benefits for both developers and end users and I would recommend that OpenInsight developers try to get along to similar events that Mike might hold over the coming weeks and months leading up to conference. These events are a massive opportunity to discuss your needs and problems with the toolset and we already have a growing list of things that the attendees would like in OI10 and some will be pushed to 10.1. Thank you to everyone here this week for your ideas and useful comments on the forthcoming version. For us here in Europe, our next opportunity to learn more about OI10, will be the main Revelation conference early in 2016 or when the beta software is finally released. All I can say is the wait will be well worth it. As someone that likes user interfaces to look nice, I am loving the new support for panels in OpenInsight 10. Carl has just explained how they are used in the new IDE and how a group of controls can be grouped onto panels with proper parent child relationships. Better still, he’s showed how a form with three controls (static, toolbar and single panel) can be used to drive a dynamic user interface that is really smart. Earlier Mike discussed the conversion process, what is involved and details about how the tables are optimised ‘IF’ you decide to take the copy option. As usual with OpenInsight, as a developer, you remain in control and we have options for you during the conversion process. More useful OI10 insights for the attendees. There is even more to OI10 than I remembered and I’ll be looking at putting some videos together when I get my hands on the beta. Elkie from Prospectus IT Recruitment has written a wonderful write up of the recent RUG in Ealing. Rather than trying to write an equally good report, I thought that I would simply link to her report from here. If you are interested in what was shared with the RUG attendees, please click here for Elkie’s report. Also, some people have already requested some photographs from the RUG meeting. If you want to view them, they are on my M4Photo website and linked from the home page. Photos and more about the RUG meeting earlier this week. The copyright free RUG photographs are no available on www.m4photo.co.uk. From my point of view Tuesday’s RUG was an amazing success and judging by some of the comments that I have received by email from people who took the time to join us in London, I am not alone in that thought. As always the day was packed with information (mostly relating to the forthcoming OpenInsight 10) and the official write-up will follow shortly. For those that can’t wait, the highlights were as per the published agenda. Mike began the day with a state of the company presentation and he touched on our future direction. He then dived into what we can expect from OpenInsight 10 and we also got to see as much of the visual side of the release that has been put together thus far – I think that those in the room were the very first to see the visuals in action outside of the company. Many of the new features and enhancements had people scribbling notes from the off. Whereas the floor is usual pretty quiet for an hour or so at our RUGs, this one proved to be different. Questions, comments and suggestions seemed to come from the floor from within a few minutes and the continued right through till the end. I put Peter Furlong from Ardbrook on the spot with regards to one of their recent projects and I was hugely grateful for a lovely nugget of information which he was able to share with the room. Unfortunately, that nugget has to stay in the room for the moment, so you had to be there to benefit. 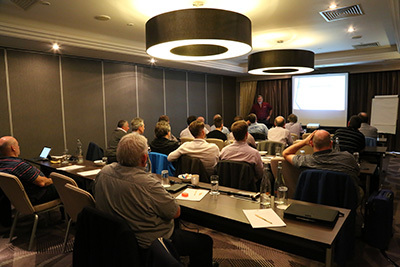 Aaron gave a short talk about a SQL to OI conversion that he is currently working on and Andrew ran through the options with regards to connectivity within OpenInsight – A popular presentation that added to the requests for copies of the presentations from the day. These will be emailed out sometime next week once I have caught up. Reservations for the RUG were higher than expected and we opted to take a larger room. This enabled us to cater for the larger than anticipated numbers and I was pleased to see only three people drop out at the last minute. The only down side was Mike having to battle with an auctioneer on a microphone in the adjoining room. However, following a million pound + auction things went quiet and we got back to normal in the afternoon. I’ll post the full write up when it is ready, but you can see photographs from the RUG on www.m4photo.co.uk. Go to the home page and you’ll see a link to the Revelation Software gallery. Attendees are welcome to digital copies of any of the images for publicity purposes – for your blogs, websites, newsletters, etc. The collection of photographs include the busy room, developers making valuable new contacts, Alex in full flow regarding UTF8 support, Peter sharing his good news with us and more. The later images were taken during our stay in Tenby during the road trip. I was annoyed to have left my tripod at home, but the sunrise was spoiled by an overcast sky so all was not lost. I hope that you enjoy the photographs and that you can join us at the next RUG which might be a little different from the usual venue and format – watch this space for further details. It’ll be one that no EMEA region based OI developer will wish to miss.